Great Vacation Spot for Anyone! 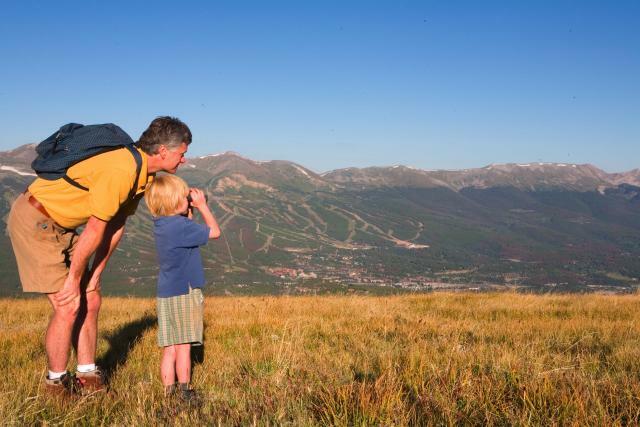 Breckenridge is an amazing place to vacation in the summer with such a great variety of activities and eateries available that anyone would have a fantastic experience there! We stayed there a week, but still ran out of time to do all of the activities that we planned and/or found to do! We would highly recommended a Breckenridge vacation to anyone and everyone – – especially if you’re looking to get out of the summer heat! https://www.bestofbreck.com/wp-content/uploads/2015/08/Tuesday-July-23-2013.jpg 1500 1500 Employee Submissions https://www.bestofbreck.com/wp-content/uploads/2015/08/logo-332x156.png Employee Submissions2013-07-23 22:28:112015-08-05 22:34:42Great Vacation Spot for Anyone! Rain or shine, Breckenridge still knows how to pack in the fun! This weekend is full of things to do for the entire family! If it’s raining, head over to the Backstage Theater and catch either Charlotte’s Web or Avenue Q! For music lovers, check out the Keystone Wine and Jazz Festival or enjoy live music from national acts at the Breckenridge Beer Festival. 6:00 p.m.- 9:30 p.m.- Music, Massage and Merlot- Join “Naked Pete” at D’vine Wine Breckenridge at 211 S. Main St, Suite F, and experience the musical entertainment by Naked Pete himself. Don’t worry, the nickname does not come to life at this event. Enjoy music, comedy and wine. 11:00 a.m. & 1:00 p.m.-The Backstage Theater – Charlotte’s Web, directed by Christopher Willard, is a all-ages play not to be missed. The iconic story was named “the best American children’s book of the past two hundred years.” For tickets and more information, click here. 1:00 p.m. – 5:00 p.m.- Keystone’s Wine and Jazz Festival – Enjoy live music from national Jazz musicians and food and wine tastings. Attend wine seminars and enrich your knowledge of food and wine pairings. To purchase tickets, click here. 8th Annual Breckenridge Beer Festival 1:00 p.m. -6:00 p.m.- The 8th Annual Breckenridge Beer Fest- Embark on a journey by tasting your way through more than 30 craft breweries beers. This year, the Breck Beer Fest will be located on Ridge Street between Lincoln and Adams. Click here for more information. 7:30 p.m. – National Repertory Orchestra- The NRO presents: Scheherazade at the Riverwalk Center. Tickets can be purchased here. Breckenridge Sunday Market3:30 p.m.-7:30 p.m.- PRCA Pro Rodeo- Time to bust out the cowboy boots and your 10 gallon hats! The rodeo is back in town! Every Saturday and Sunday through September 1st, the rodeo offers entertainment for all ages. Visit this page for more info. https://www.bestofbreck.com/wp-content/uploads/2015/08/Friday-July-12-2013.jpg 1500 1500 Meckenzie Donnell https://www.bestofbreck.com/wp-content/uploads/2015/08/logo-332x156.png Meckenzie Donnell2013-07-12 19:35:432015-08-05 22:25:59What's Up in Breck This Weekend? The 8th Annual July Beer Festival will be arriving in Breckenridge this Saturday, July 13th from 1:00-6:00 p.m. on Ridge Street from Lincoln to Adams Street. Enjoy one of the best views in town, while listening to live music, hanging out with friends, enjoying beautiful Breckenridge, all while sipping on brews. Enjoy beer tastings from over 30 craft brewers with almost 100 unique brews to try out! A few breweries that will be in attendance this year are Avery Brewing Company, Breckenridge Brewery, Goose Island, Pug Ryans Brewery and Upslope Brewing Company. A complete list of brewers can be found by clicking here. Advanced tickets are available online for purchase until midnight on Friday, July 12th. Click here to buy now! Pre-purchased tickets can be picked up on the day of the event on Washington Street between Main and Ridge. You can also purchase tickets on the day of the event here as well. Enjoy live music from a variety of bands from across the country, including headliner David Wax Museum, Middle Band- Emily Bell, and West Water Outlaws. For more information about the bands and schedule. Peak 6 Coming This Winter! Yeah-yeah! Vail Resorts (parent company of Breckenridge Ski Resort) announced today that they started construction of the new Peak 6 expansion of the ski area. The Terrain will be on the mountain just north of Peak 7 (go figure) and bring 543 acres of new intermediate to expert terrain. The new Peak 6 Terrain will be 400 acres of terrain serviced by 2 new lifts and 143 acres of hike to terrain. The 2 new lifts will be a high speed 6 person chairlift and a fixed grip chair. The new terrain on Peak 6 will open during the upcoming 2013 – 2014 ski season with both new lifts operational. We can’t wait! Mo-betta skiing and riding is on the way! Early planner? Thinking of a ski trip this winter? Try www.breckenridgediscountlodging for the best deals on Breckenridge lodging anywhere. https://www.bestofbreck.com/wp-content/uploads/2015/07/Wednesday-July-2013.jpg 1500 1500 Mark Grattan https://www.bestofbreck.com/wp-content/uploads/2015/08/logo-332x156.png Mark Grattan2013-07-10 18:52:482015-07-30 19:02:03Peak 6 Coming This Winter! The perfect intermediate family hike, Mohawk Lakes sums up everything magnificent about Summit County. It has sweeping vistas, historic ruins, ore cars, waterfalls and close-up views of massive, rugged peaks. Be sure to bring snacks and plenty of water. Directions: Drive south out of Breckenridge on Highway 9. At about 2.4 miles from the last light as you leave Breckenridge, turn right on Spruce Creek Road and proceed for about 1.2 miles to a well marked parking area and trailhead. Start out on Spruce Creek Trail and continue for about 2 miles. Cross a 4WD road and take the trail to Mayflower Lake and a 19th century mining cabin. Once you get to Mayflower Lake you wil start on a steady climb of about one mile to lower Mohawk Lake where is falls and an old mill. The views from here are impressive. Turn around here or continue to Upper Mohawk Lake and enjoy even more impressive views. Fourth of July in Breckenridge, Colorado Happy Birthday America!!! Excuse the long blog, BUT we didn’t want you to miss out on any of the fun events going on in Breckenridge this weekend!!! If you’re lucky enough to enjoy a four-day weekend, you won’t find yourself searching for things to keep you busy up here in Breckenridge. We’re excited that for the first time in three years, the Town of Breckenridge has given the go-ahead for the professional firework show! Heightened fire dangers prohibited the fireworks display in Breckenridge in years past, so we’re happy the recent spout of rain cleared the way for this year’s show. 9:00 a.m- Breckenridge Heritage Alliance Fourth of July Garden Party- Pregame for the parade in style with a spread of mimosas, coffee and breakfast at the Barney Ford Museum. Advance ticket prices are almost half off if you purchase beforehand! Adults are $40, but $75 on the day of. Children ages 12-6 are $20, and under 5 are $10. Call 970.453.9767 ext. 2 for more information. 9:30 a.m.- Firecracker 50 Mountain Bike Race- The official kick off to the parade! Not for the faint at heart, this race is 50 miles (about a 5 hour ride). To register, click here. 9:30/10:00 a.m. – The Town of Breckenridge’s Fourth of July Parade –George Washington will kick off the parade by reading the Declaration of Independence at the Blue River Plaza. New this year will be a marching band from Waconia High School in Minnesota. Watch as the Red, White and Blue Color Guard precede the town’s fleet of parade floats. We hear that a “Regal Eagle” has landed in Breckenridge and will be a shining star in the parade. Don’t miss it! 12:30-2:30 p.m.- Kids Water Fight- This is definitely a crowd-favorite event on the Fourth of July. Children can join forces with the Red, White and Blue Fire Department and cool off with a giant water fight. 12:30- 3:00 p.m.- Viper “Show and Shine”- For the gear heads and those that just like looking at cool cars, a fleet of Dodge Vipers will be parked along Main Street to gawk at. 2:00 p.m. – Free Concert at the Riverwalk Center-The Town of Breckenridge is proud to present Karl Denson’s Tiny Universe, a previous member of Lenny Kravitz’ band, who will perform an eclectic blend of groove, jazz, funk R&B and hip hop. 8:30 p.m.- National Repertory Orchestra Presents: 4th of July Patriotic Salute-Enjoy a patriotic show at the Riverwalk Center. Lawn seating is free, but tickets for seats inside can be purchased online. Doors open at 8:00 p.m. All proceeds from this event will be split between the National Repertory Orchestra and programs for wounded military members, veterans and their families at the Breckenridge Outdoor Education Center. Be advised that dogs are prohibited on the lawn at the Riverwalk Center during this event. To purchase tickets, click here. 9:45 p.m. – Fireworks!!! Find a spot to lay a blanket, call up your friend that has a balcony in Breckenridge or head over to one of the many restaurants with a deck and watch the first firework display in Breckenridge in three years! The Ten Mile Range is a perfect backdrop and can be seen from almost everywhere in town. Personal fireworks of any kind are prohibited due to the dry conditions. Please respect our town, state and country from unnecessary wildfires by adhering to these guidelines! Also, outside alcohol is prohibited and coolers can be inspected by law enforcement. 10:00 a.m.- 6:00 p.m.- The 30th Annual Breckenridge July Art Festival- Ranked in the past as the “18th Best Art Fair in the United States” by Art Fair Sourcebook, this event gathers over 100 artists from around the country with a variety of ceramics, mixed media, fiber, jewelry, painting, wood, glass, sculpture and more..
7:30 p.m. – Blue River Series: The Wailers- The Breckenridge Music Festival is pleased to host The Wailers at the Riverwalk Center. Alongside Bob Marley, The Wailers have played around the globe and have sold more than 250 million albums. To purchase tickets, click here. 7:30 p.m. – National Repertory Orchestra- The NRO presents Hollywood Classics at the Riverwalk Center. Tickets can be purchased here. 10:00 a.m.- 6:00 p.m.- The 30th Annual Breckenridge July Art Festival- Ranked in the past as the “18th Best Art Fair in the United States” by Art Fair Sourcebook, this event gathers over 100 artists from around the country with a variety of ceramics, mixed media, fiber, jewelry, painting, wood, glass, sculpture and more. For more information, click here. rather musical for grown-ups with a “Sesame Street meets South Park” kind of twist. To purchase tickets, click here. 7:30 p.m. – Blue River Series: Hot 8 Brass Band- The Breckenridge Music Festival hoststh Hot 8 Brass Band at the Riverwalk Center. This New Orleans-based band combines hip-hop, jazz and funk with traditional New Orleans brass sounds. Sit back and enjoy a taste of NOLA in Breckenridge! To purchase tickets, click here. BEAT THE HEAT AND SAVE ON BRECKENRIDGE LODGING! 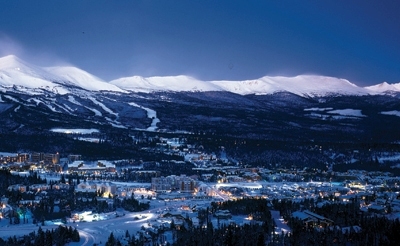 Click here for discounted lodging packages in Breckenridge! https://www.bestofbreck.com/wp-content/uploads/2015/07/Thursday-July-4-2013.jpg 1500 1500 Employee Submissions https://www.bestofbreck.com/wp-content/uploads/2015/08/logo-332x156.png Employee Submissions2013-07-04 17:39:002015-07-30 17:48:58What’s up in Breck this weekend?